Even though he was mainly known for his photography but American visual artist Man Ray wanted to be primarily known as a painter. He invented a new technique in photography and called it “rayographs”. Man Ray was also known for his surrealist art works, and was an important artist of the surrealist group. Alice Prin also known as Kiki de Montparnasse was Man Ray’s first muse. Apart from being his muse, she was also his lover and the couple remind together for six years. While photographing Kiki Man Ray would often paint her face, shave off her eyebrows and would put other set of eyebrows in different colour and shape, he would also paint her eye lids in different colours. The couple broke up after six years. Man Ray moved on to his new muse Lee Miller. Lee and Man Ray worked together in his studio for three years. Both Miller and Ray became two very important figures in modern art. The couple broke up in 1932; May Ray, who was madly in love with Miller, was deeply affected by their separation, to the extent of madness, after which he stopped photographing for many years. Lee and Man Ray reconciled years later and remain friends for rest of their life. Man Ray married twice: His first wife was AdonLocroix, a poet. The couple was married for 23 year; his second wife was Juliet Man Ray(Juliet Browner). she was a dancer and they were together for 30 years until Man Ray’s death in 1976. Both his wife were also his muses and often posed for him. Man Ray invented “rayographs” a technique of creating images without the use of camera; he would place different kinds of objects like thumbnails, keychains, coil of wire etc on a photosensitive sheet in a dark room and then expose it to light. It was this invention that made him a part of surrealist group and Man Ray became an important artist in modern history of art. 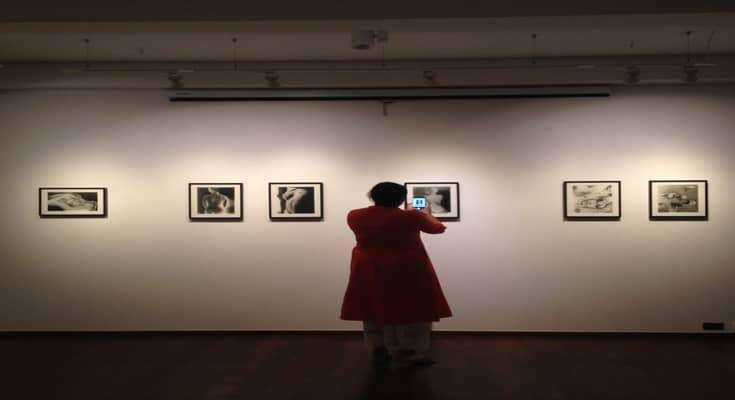 Some of Man Ray’s photographic work is on display at TARQ art gallery in Mumbai until July 1.